Fraas and Slade's Watermarks Series was inspired by the twenty-six alphabetical signal flags of the International Code of Signals, which are used for communication between vessels at sea. In addition to their use as individual letters of the alphabet, many flags have additional specific meanings. The D-Delta flag shown below means "	I am maneuvering with difficulty; keep clear." 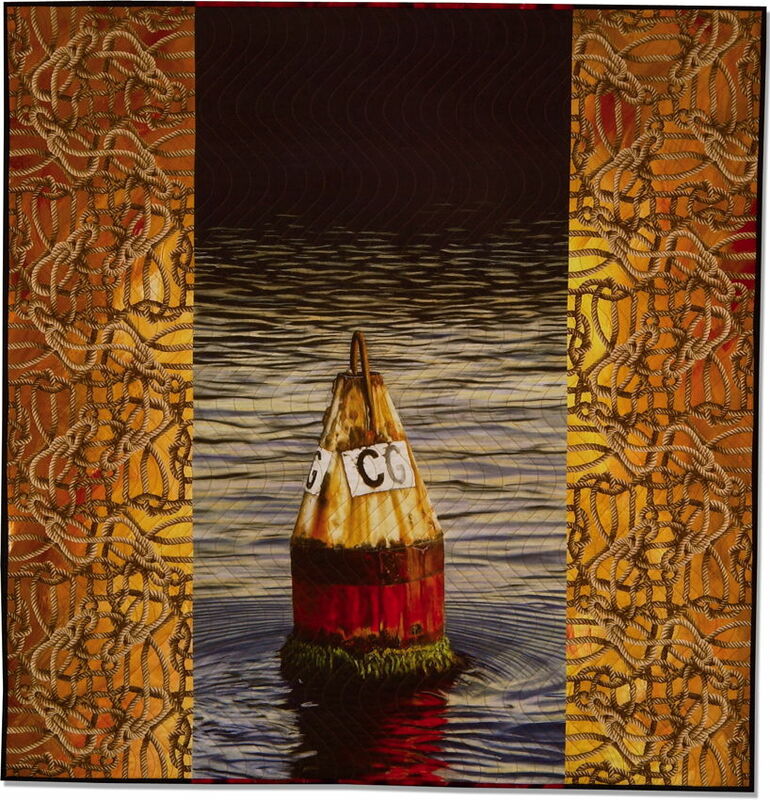 This quilt was produced in digitally printed artist's proof edition of 3. #1 is in the collection of the Rocky Mountain Quilt Museum in Golden, Colorado, and #2 is in a private collection.